Raphael Sperry is an architect, green building consultant, teacher, and outspoken advocate on the role of architecture in social justice issues. He founded and directs the “Alternatives to Incarceration / Prison Design Boycott Campaign” of the non-profit Architects/Designers/Planners for Social Responsibility (ADPSR) and has presented his research at numerous professional association conventions and architecture schools. He teaches the Green Architecture studio at Stanford University’s Architectural Design program and has championed sustainability strategies for a wide variety of institutional and commercial projects. Sperry was named a 2012 Soros Justice Fellow for the project he describes in the following essay, which originally appeared on the website of the Open Society Foundations. Photo: Christoph Gielen, Untitled XVI Arizona, 2010. When I say that I’m an architect researching criminal justice, many people think that I want to design “better” prisons. In fact, I want architects to stop designing supermax prisons altogether. As the incoming president of the small non-profit organization Architects/Designers/Planners for Social Responsibility, I have just launched a campaign asking my mainstream professional organization, the American Institute of Architects (AIA), to amend its code of ethics to ban the design of spaces intended for execution and prolonged solitary confinement.At its root, this is a human rights campaign. The human rights community agrees that the death penalty should be ended and that prolonged solitary confinement is a form of torture. AIA’s code of ethics already calls on architects to “uphold human rights in all their professional endeavors,” and so you might think that this would be a relatively simple amendment. But this ethics code is not currently enforceable; a new 500-bed solitary isolation prison is now out for design bids in Arizona and as recently as 2010, the State of California redesigned and rebuilt their death chamber. I am hopeful that AIA will do the right thing, but know that there is a fear of challenging government and general misconceptions about the public’s view of the death penalty and harsh treatment of prisoners. Many architects will need to more fully understand the issues before things can change. I have begun contacting chapters of the AIA and other architecture and design organizations, looking for opportunities to speak to their members and encourage their decision-makers to consider endorsing our campaign. AIA is a member-oriented organization, but architects hold public licenses and have public responsibilities. We care about public opinion. Professional responsibility is a major theme of this campaign. Architects are responsible for, among other things, protecting public “health, safety, and welfare” in the buildings we design. It shouldn’t be asking too much to ensure that our buildings aren’t intended to hurt or kill members of the public. In this respect, I take inspiration from doctors and nurses. Their professional associations prohibit members from participating in executions or torture. Medical professionals understand that they cannot agree to government requests to hurt or kill their patients; it would violate their ethics. I expect that public respect for architects will increase as we expand our own commitment to human rights. At the deepest level, this campaign challenges the culture of violence that infects our society. The easy acceptance of violence as a legitimate way to solve problems extends from the interpersonal level – evidenced in the frequency of mass shootings in the U.S. – to the international level – where we see the U.S. engaged in a continual pattern of warfare, bombing, and military coercion. In U.S. domestic governance and community life, this culture has led to misguided “tough on crime” policies. State-led violence does not solve the problem of personal violence; it actually reinforces it. Violence won’t end through the application of superior force by police or through building increasingly punitive prisons. Instead, we must build a culture of non-violence. As one man recently released after serving many years for a murder conviction put it (speaking at a panel organized by Soros Justice fellow Nancy Mullane), the state shouldn’t be setting a bad example for our children about how to respond to someone who has caused harm. Prisons are the concrete and steel forms of our culture of violence. Execution chambers and supermax prisons in particular are the harshest buildings we create. They are supposed to handle “the worst of the worst,” but the way I see it, these buildings themselves are the worst of a bad lot. These buildings, when operated as intended, violate human rights. They also make possible the system of mass incarceration that perpetuates violence, racism, poverty, and other social injustices. Ending the culture of violence and building a society based on mutual respect, tolerance, and love is a tall order. But I believe that to move forward, everyone to find a way to do their part. I’m hoping that, with enough public support and private reflection, AIA’s leaders will see that the profession of architecture can take this step. This entry was posted in News and tagged Architects/Designers/Planners for Social Responsibility, architecture, Corrections Industry, Guest Posts, Human Rights, prisons, Solitary Confinement, Supermax Prisons. Bookmark the permalink. I truly believe that we are seing a shift in the tide…so much grass roots organizing taking place now like never before. Perhaps we are finally waking up. What we do in our prisons is everyone’s business and concern. I am hopeful today.. I had never thought in terms of buildings upholding or violating human rights before. It all begins with a corner stone doesn’t it? Excellent piece which coincided with this poem being sent to me from my older brother who had suffered so much while incarcerated. Now homeless and near his end he sent me this message of his defiance. d) ever contribute to creating a “society based on mutual respect, tolerance and love” ? You are delusional in thinking adopting such a ludicrous guideline will garner better socially acceptable actions, or any less heinous crimes to be committed on the part of criminals. There has never been a time in human history where such a utopian society existed, and very likely never will. Your thinking is dangerous, not only to yourself but to society as a whole. It is society that has determined, by centuries of being victimized by criminal acts, that incarceration and execution (in the most extreme cases) is an acceptable form of punishment for those who’ve committed crimes against society. It is society that will undoubtedly resort to other less costly methods of punishment and execution of it’s criminals, should your governing board of architects agree and adopt your campaign. MarkInTexas: I don’t understand why you think campaigning for the A.I.A to prevent architect involvement in the designing of facilities for execution is a joke when it would only parallel the American Medical Association’s policy not to allow doctor participation in execution. Sarah: Thanks for your reply and opinion. However, I believe your comparison to the AMA is invalid, as that governing body and it’s membership of medical practitioners (Doctors, P.A., EMT’s, Nurses, etc.) have an oath and very specific intention to preserve life. On the other hand, the architects profession and function is to design and build safe structures, and, yes many of which are enjoyed by people, but it’s functional purpose is not to preserve life. IMHO, perhaps a more appropriate and valid comparison might be to other building or industry related trades, such as masons, iron workers, carpenters, electrician, plumbers, etc. Now, I was drawn to this article by way of a friends Facebook link. I have never done business with, nor heard of Mr. Sperry prior to this, so I can not and will not comment on his competence as an architect. I’m sure that he has worked hard to attain the high level of respect from his peers, to be an invited guest speaker and to have received prestigious industry related awards. He is entitled to his own thoughts and opinions on human rights, and is free (at least in America) to speak up on those thoughts and opinions. I think this campaign is a joke because: a) he’s trying to force his personal opinions (of capital punishment) on other members of an organization (e.g. the A.I.A.) through it’s governing body or code of ethics; b) he is either ignorant of or chooses to ignore the heinous crimes against humanity and other human rights violations perpetrated on society by criminals, specifically those who have taken lives, that have caused them to be incarcerated by society in the first place. c) it is ultimately unachievable; d) society will reject and eventually dismiss the industry and profession if implemented in practice. The other major topic here is obviously Human Rights. How does society deal with those who violate the human rights of others ? At what point, meaning how many or bad does a violation have to be, before society says enough is enough ? I can say, and you must agree there is no simple, common or concrete answer to this question that applies to everyone on Earth. I think we can agree that it has proven elusive, if not impossible even here in America. We do not have a utopia, we do not have one culture, religion, government … therefore it is impossible to make everyone live by the same rules, even if cut from the same cloth. My brother and I will never agree on everything 100% of the time, just like we will never agree on building or not building facilities to incarcerate or execute those criminals whom society has deemed guilty of inappropriate or unacceptable behavior. Again, I ask what would the incentive be to not commit a crime if there were no differences in the punishment for those crimes ? This is not to say our justice system or the methods employed to incarcerate criminals is perfect. It is not, but it is something that our society has determined appropriate. It is something that our society can improve upon, but I do not see enforcing lighter punishments (e.g. refusing to design or removing execution or solitary confinement facilities) as the means to reduce crimes against humanity. The train of thought is patently absurd. Good story in the Texas Monthly and a good question. DURING MY YEARS AS A DISTRICT ATTORNEY, I HAVE SOUGHT THE DEATH PENALTY. BUT DOES THE STATE NEED TO TAKE A LIFE TO MAKE A POINT? I have never met Mr Sperry either or in fact heard of him until I read this article so I am his unofficial apologist and may be completely misrepresenting his arguments. I accept what you are saying about comparing the AMA and the AIA in this situation for the reasons you give although I don’t think it’s a completely invalid comparison just an overstated one. I still think the campaign is a legitimate one though. Mr Sperry tells us it is already written in the AIA Code of Ethics that architects must “uphold human rights in all their professional endeavors”. Therefore IF Capital Punishment and prolonged use of solitary are human rights violations (as quite a number of people think) then Mr Sperry would be correct that for architects to collude in this process by designing the buildings in which these things occur is a breach of the AIA Code of Ethics which already exists. Secondly, you say you don’t see how this campaign will have any “positive impact on reducing crimes against society” or “heinous crimes against humanity and other human rights violations perpetrated on society by criminals”. Well I would argue (although I am not expecting you to agree) that CP/prolonged use of solitary is a crime against humanity in its own right and a human rights violation perpetrated on society against criminals. Therefore having architects refuse to co-operate in the process by refusing to design buildings could potentially lead to a reduction in these serious crimes. Thirdly your argument seems to be making the assumption that CP/prolonged use of solitary have a deterrent effect in reducing serious crime in the first place and I am not sure how much evidence there is for that. Certainly my understanding is that evidence for the deterrent effect of Capital Punishment is equivocal at best. although it does have a learning curve. A bit of history showing a link between asylums and prison designs. Dr. Thomas Story Kirkbride’s grand asylum architectural designs were likely influenced by Eastern State Penitentiary’s (ESP) which coincidentally had opened in 1829 during Kirkbride’s second year at the University Of Pennsylvania’s Medical School. At the time ESP opened it was the largest and most expensive public structure in the country. One of the last Kirkbride structures built in the United States was the Fergus Falls Regional Treatment Center in Minnesota which opened its doors on July 29, 1890. The Minnesota State Reform School at Red Wing which formally opened in 1891. The main building at Red Wing continues to be regarded as a prime example of the neo-Romanesque style that was pioneered by Henry Hobson Richardson in the late 19th century. In 1895 MSRS was renamed the Minnesota State Training School for Boys and Girls. Preston School of Industry’s original building first opened for business on July1, 1894. Robert T. Devlin, the President of the California State Board of Prison Directors, had visited 22 institutions in the East. Devlin was particularly impressed with the architectural plans for the Minnesota State Training School being built in Red Wing, MN designed by architect Warren B. Dunnell. So Devlin returned with tracings of MSTS’s architectural plans, and submitted them to Preston’s architect, Henry A. Schulze, for the administration building and annex. Both Eastern State Penitentiary and Preston Castle have since become tourist locations. The Preston Castle Foundation has held frequent paid photographic tours of this California historical landmark to generate funding to restore it to its original grandeur. “One of the 19th-century’s most notorious socioarchitectural phenomena were the “insane asylums” that housed the era’s mentally ill — enormous and stunning buildings whose architecture stood in stark contrast with the ominous atmospheric of their inner workings. The mixed motives driving reformers led to a network of “Houses of Refuge,” a euphemism for reformatories…. Remedies: The philosophy of moral treatment that influenced early American, as well as European, was the ameliorative role of work, considered a key element of moral treatment was emphasized in 19th-century orphanages, asylums, almshouses, and reformatories. There was growing eugenics movement in the U.S., associated with cognitive disability, criminality and to advocate increasingly punitive means of containing and preventing (e.g., through involuntary sterilization) all forms of physical and behavioral deviance. Pennsylvania’s Eastern State Penitentiary was designed by architect John Haviland the most famous and internationally influential prison architect of all time. He also designed the courthouse and detention center in NYC commonly called the Tombs today and the state penitentiaries in Trenton, Rhode Island, and Missouri. In addition he designed a county jail and courthouse in Newark, NJ and PA’s Navy Asylum. It is ironic that Haviland’s designs were influenced by a “Lunatic Asylum” plan published in London in 1814 while he was in that city studying architecture. Dr. Thomas Story Kirkbride’s grand architectural designs of asylums were in turn influenced by Eastern State Penitentiary’s (ESP) which opened in 1829 during Kirkbride’s second year at the University Of Pennsylvania’s Medical School. So while the later Kirkbride asylums were influenced by Eastern State Prison’s design the inspiration for ESP itself was the earlier Lunatic Asylum plan published in 1814 London. That takes us full circle and the following is proof that the two fields are connected by their architecture. Both reform schools look very similar to the Arkansas Lunatic Asylum another of Kirkbride’s designs. Haviland also gave much attention to the vexing problem of communication among the prisoners. After considerable experimentation with hot-air ducts and various arrangements of water pipes, the architect was satisfied before he had completed Cherry Hill that such contacts had been reduced to a minimum. Some important innovations in design were made also to facilitate communication among the prison staff, as well as to improve their surveillance of prisoners. This was particularly true of his use of the central rotunda, apparently for the first time, as a sort of communications hub and nerve centre of the prison. Compared with the penitentiaries of their day, the prisons of Haviland were overwhelmingly superior, both technically and stylistically. Haviland’s choice of the heavy and gloomy Gothic and Egyptoid styles used at Philadelphia and at Trenton accents security and the punitive nature of imprisonment. Haviland’s teacher, James Elmes, in commenting on prison design said “the external aspect should be made as gloomy and melancholy as possible.” And the building commissioners of Cherry Hill went on record as saying that: “the exterior of a solitary prison should exhibit as much as possible great strength and convey to the mind a cheerless blank indicative of the misery which awaits the unhappy being who enters within its walls.” In the context of such a philosophy then, Haviland’s choice of the heavy and gloomy Gothic and Egyptoid styles used at Philadelphia and at Trenton seems to have been entirely appropriate. The prospect of solitary confinement plus the grim and forbidding appearance of the prison itself would serve as a powerful deterrent to the potential offender on the outside. Solitary confinement day and night became, then, the Quaker solution to the problem of rehabilitation as well as the deterrence of potential law-breakers. The elite opinion in the United States was firmly behind the idea of solitary confinement. The debates of the day focused largely on whether the system at Eastern State was cost effective. Despite this vehement defense of the solitary system, in the period after the Civil War, the regimen at Eastern State was slowly abandoned. Historians have theorized that the rise in foreign immigrants among the prison population decreased public sympathy for prisoners and made expensive penal reform less politically popular during the postwar period. In 1983, violence swept the federal penitentiary at Marion, Ill. Two guards were stabbed to death, and guards murdered one inmate and attacked others. In response, Marion was “locked down”: Prisoners were forced to stay in their cells for 23 hours a day. The experiment in long-term solitary confinement at Marion worked. Violence stopped and disruptions were rare. By accident, the modern supermax prison had been invented. Supermax prisons—high-tech, maximum-security facilities—were the answer politicians and corrections departments were looking for to solve the problem of increasing violence in prisons. Following Marion’s lead, corrections departments around the country began building supermax prisons, or adding supermax wings to their existing prisons to handle the growing number of violent prisoners who could not be controlled in the traditional prison system. Today there are 20,000 supermax inmates in the United States, roughly 2 percent of the total prison population, though in some states the proportion is much higher: In Mississippi, 12 percent of prisoners live in supermax units. The system of punishment in supermax units resembles nothing so much as the system of punishment pioneered at Eastern State. The Pelican Bay Security Housing Unit, which cost California taxpayers a quarter of a billion dollars, is perhaps the most notorious supermax. From the air it looks like a high-tech version of the Philadelphia prison: Its hub-and-spokes design is clearly descended from John Haviland’s 19th-century architectural plan. Inmates in the SHU (known as “the shoe”) are kept in their cells close to 24 hours a day. As at Eastern State, inmates eat in their cells and exercise in isolated attached yards. Those least likely to become mentally ill in solitary confinement are prisoners who can read, because reading prevents the boredom that can lead to insanity. (The human psyche appears not to have changed since the days of Eastern State, when an inmate told Alexis de Tocqueville that reading the Bible was his “greatest consolation.”) Because roughly 40 percent of U.S. prisoners are functionally illiterate, however, reading can provide solace and sanity to only a fraction of those behind bars. Forty-one states have supermax units that resemble Pelican Bay. But while experts agree that long-term solitary confinement drives prisoners insane, there are no international luminaries flocking to see American prisons today. Even if they did, it’s not clear what they would be permitted to learn. On their visits to America, Dickens and Tocqueville were encouraged to interview Eastern State prisoners in their cells. Today, a number of states bar members of the media from interviewing prisoners. Among them are California and Pennsylvania. Architects Bell & Hackney Southern Illinois Penitentiary drew on both Haviland and Kirkbride in their design of Southern Illinois Penitentiary now called Menard Correctional Center in Chester, IL‏. Levi Tucker Scofield (originally Schofield) (1842–1917) was a prominent Cleveland, Ohio architect. Scofield built at least two Kirkbride asylums. But he built prisons using elements of both Haviland and Kirkbride designs. North Carolina’s massive, castellated Central Prison shortly after the Civil War. Central Prison was the vision of several architects including W. O. Wolfe, father of author Thomas Wolfe. The castellated architectural style also evoked a popularly understood sense of protective, militant architecture. The Ohio State Reformatory (OSR), also known as the Mansfield Reformatory was built in 1896 and was the site of the movie “Shawshank Redemption”. Jeremy Bentham published his proposals for a Panopticon House in 1791. Opened in 1925, Stateville Penitentiary’s “F-House” near Joliet, Illinois was designed according to the panopticon concept which Aldous Huxley once termed a “totalitarian housing project”. Statesville’s “F-House” is commonly referred to as “roundhouse” due to its panopticon layout which features an armed tower in the center of an open area surrounded by several tiers of cells. Bentham devoted about twenty five years of his long life to the elaboration in minutest detail of the plans for a perfectly efficient prison. The panopticon, as he called it, was to be a circular building, so constructed that every convict should pass his life in perpetual solitude, while remaining perpetually under the surveillance. The plan for Harrisburg State Hospital was furnished by John Haviland. Fellow Quaker Thomas S. Kirkbride, M. D. was one of the trustee’s appointed by the governor for the project which opened in 1851. The Harrisburg State Hospital was created as the Pennsylvania State Lunatic Hospital. So the two Quaker men were practically partners. Arguably, the greatest changes in prison and asylum design have been driven by philosophical arguments rather than advances in architectural design. In 1776, the Philadelphia Quakers introduced the idea of solitary confinement at the Walnut Street Jail, in the belief that prisoners needed the time alone to reflect upon and to repent for their crimes. In 1791 taking this idea a step further, philosopher Jeremy Bentham published his proposal for a Panopticon House, or a circular building so constructed that, “every convict should pass his life in perpetual solitude, while remaining perpetually under the surveillance.” At the center of the building, and out of view of the prisoners, a lone jailer could watch over 1,000 prisoners with “invisible omniscience”. Then in 1815 James Bevans presented a “Panopticon Plan”, for a proposed London Asylum. Bevans design followed what has also been called the “radial plan” and it offered seven arms of three stories each connected to a central hub observation post. Physical restraints were to be replaced by visual observation of patents by attendants and the medical superintendent. John Haviland, the most famous and internationally influential prison architect of all time, happened to be studying architecture in London at the time, and he took notice. After immigrating to the US, Haviland proposed a design for Pennsylvania’s Eastern State Penitentiary based on Bevan’s design. Haviland’s ESP design gave much attention to the vexing problem of communication among the prisoners. After considerable experimentation with hot-air ducts and various arrangements of water pipes, the architect was satisfied before he had completed (ESP) at Cherry Hill that such contacts had been reduced to a minimum. Some important innovations in design were also made to facilitate communication among the prison staff, as well as to improve their surveillance of prisoners. This was particularly true of his use of the central rotunda, probably for the first time, as a sort of communications hub and nerve centre of the prison. Compared with the penitentiaries of their day, the prisons of Haviland were overwhelmingly superior, both technically and stylistically. Haviland’s choice of the heavy and gloomy Gothic and Egyptoid styles used at Philadelphia (Cherry Hill, ESP) and at Trenton (The Tombs) accents security and the punitive nature of imprisonment. This view was in line with Haviland’s professor, James Elmes, who in lecturing on prison design said “the external aspect should be made as gloomy and melancholy as possible.” And the building commissioners of Cherry Hill went on record as saying that: “the exterior of a solitary prison should exhibit as much as possible great strength and convey to the mind a cheerless blank indicative of the misery which awaits the unhappy being that enters within its walls.” The prospect of solitary confinement plus the grim and forbidding appearance of the prison itself would serve as a powerful deterrent to the potential offender on the outside. Solitary confinement day and night became, then, the Quaker solution to the problem of rehabilitation as well as the deterrence of potential law-breakers. At the time ESP opened in 1829 it was the largest and most expensive public structure in the country. The elite opinion in the United States was firmly behind the idea of solitary confinement. The debates of the day focused largely on whether the system at Eastern State was cost effective. Today’s system of punishment in supermax units resembles nothing so much as the system of punishment pioneered at Eastern State. The Pelican Bay Security Housing Unit, which cost California taxpayers a quarter of a billion dollars, is perhaps the most notorious supermax. From the air it looks like a high-tech version of the Philadelphia prison: Its hub-and-spokes design is clearly descended from John Haviland’s 19th-century architectural plan. Inmates in the SHU (known as “the shoe”) are kept in their cells close to 24 hours a day. As at Eastern State, inmates eat in their cells and exercise in isolated attached yards. As of Jan 2003 forty-one states have supermax units that resemble Pelican Bay containing over 20,000 inmates. John Haviland also designed at least one asylum, Harrisburg State Hospital (HSH) known at the time as the Pennsylvania State Lunatic Hospital. Fellow Quaker Dr. Thomas S. Kirkbride, M. D. was one of the trustee’s appointed by the governor for the HSH project which opened in 1851. In 1840 Kirkbride had become the superintendent of the newly established Pennsylvania Hospital for the Insane designed by Isaac Holden. When HSH became overcrowded young architect Samuel Sloan, Kirkbride’s friend and collaborator, designed the Pennsylvania Hospital’s Department for Males which was completed in 1859, this huge structure consisted of several wings extending from a main central building. It introduced many innovations in terms of spaciousness, airiness and light. Dorothea Dix was an influential social reformer in the 19th century. While visiting a jail in 1841 to teach Sunday school, she witnessed the appalling treatment of the mentally ill who were forced to live in the company of common criminals. Outraged, Dix convinced the legislatures of many states to construct public asylums. Dix and Kirkbride formed a friendship that resulted in a proliferation of asylums based on the “Kirkbride Plan”. The grand scale of Dr. Thomas Story Kirkbride’s asylums was likely influenced by Eastern State Penitentiary (ESP) which opened in 1829 during Kirkbride’s second year at the University Of Pennsylvania’s Medical School. Prisons and asylums also have shared methodologies of confinement. Moreover, these institutions emerged in the US during the same period during the 19th century and were based on similar principles of reforming deviant behavior. Both were intended to be therapeutic, as opposed to simply custodial, institutions. Both served as “laboratories” for new techniques of behavioral management. Both attempted to use architecture as a force for moral development. Both were created with a burst of reformist optimism but neither was successful. Abuse, neglect, and mismanagement soon replaced the reformers high ideals. The building should be in good taste, and impress favorably not only the patients, but their friends and others who may visit it. It should have a cheerful and comfortable appearance, everything repulsive and prison-like should be carefully avoided, and even the means of affecting the proper degree of security should be masked, as far as possible, by arrangements of a pleasant and attractive description. Nor is the influence of these things on the friends of patients unimportant, they are thus led to have a generous confidence in those to whose care their friends have been entrusted, and a readiness to give steady support to a liberal course of treatment. “State hospitals are not for the pauper portion of the community alone, but for every class of citizens, and all who pay taxes aid in their erection, and therefore have the right to participate in their advantages. There are, indeed, several variations that might be suggested, where it is proposed to provide the most perfect arrangements, without regard to cost, or to furnish accommodations exclusively for the wealthy in a community; for there is no reason why an individual who has the misfortune to become insane, should, on that account, be deprived of any comfort or even luxury, that is not improper or injurious, to which he has been accustomed, or which his income will justify. An insane member of a family, wherever he may be, has really a claim for everything that will contribute to his comfort and gratification, far beyond those who are in health and who have so many other resources; and the justice or morality of a different course, as occasionally observed, cannot for a single moment bear examination. “Not for the pauper portion of the community alone”? Does this imply he believed it was primarily for paupers? And a cynic reading this today might surmise that the serene design of Kirkbride’s asylums was meant to be more of a lure for those with means to pay than a therapeutic tool when one looks at the systems results. A kind of Venus fly trap for the insane. For, just as ESP mythology was later found to be inhuman, so too were the methods used in our nation’s asylums. In 1946 Life magazine did an expose’ titled “Bedlam 1946” on the abusive conditions found inside this nation’s asylums based on the findings of WWII conscientious objectors who had served as attendants at state mental institutions rather than in the war. Read the 1946 Life article in its entirety, and see some of the pictures that horrified Americans. Robert Merton called this “goal displacement” a common phenomenon within large bureaucracies as the original goal of the bureaucracy is displaced with the goal of continued funding. As a result of Life’s expose The National Mental Health Foundation (NMHF) was founded and it became an impetus toward deinstitutionalization. The NMHF’s push for deinstitutionalization resulted in new laws protecting the rights of the mentally ill. Meanwhile in our nation’s prisons a game changer was about to take place. All during the latter half of the 1960’s California had been the epicenter of a prison race war for the control the prison yard as well as what has been referred to as The New Left’s “Bay Area Radical Prison Movement”. Even so as the decade ended it had been almost twenty years since a guard had been killed in a California prison. Then beginning in January 1970 the war expanded to include prison guards and within a few months a dozen guards had been killed in San Quentin, Soledad, and Folsom. The rest of the country soon followed suit which forced the Bureau of Prisons officials to begin implementing countermeasures. Between January 1980 and October 1983, there were more serious disturbances at the federal prison in Marion, Illinois than at any other prison, including fourteen escape attempts, ten group uprisings, fifty-eight serious inmate-on-inmate assaults, thirty-three attacks on staff, and nine murders. Then after the killing of two Marion prison guards in two separate attacks on October 22, 1983, Marion, already a level six facility since1979, instituted a 24 hour lock down of the entire prison population. 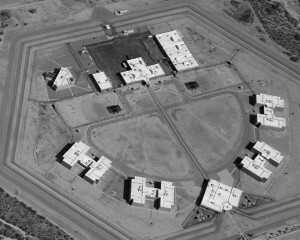 The Supermax prison concept was thus established and resulted in specially designed prisons such as Pelican Bay State Prison in CA which opened in December 1989 and ADX Florence, Colorado which opened in November 1994. A building boom of such facilities soon followed. But the violence did not stop. That is because much of the violence in our prisons, now as in the past, is perpetrated by uncontrolled gangs of guards. These abuses are not just slipups at such locations as Pelican Bay’s SHU. After all Pelican Bay was designed on a principle of grossly inhuman treatment. For more on the 19th century philosophical arguments for juvenile reformatories and the results click on this link. I read this overlooked aspect of these men’s lives. The absence of darkness. after the following article please read Silverstein’s take on the affect of such lighting. When people are rich enough to have anything they want, they choose to have darkness at night. Meanwhile, kids who are growing up in cities whose families don’t have the resources to travel are never going to experience that. I wonder if it will get to the point where none of us can get there, unless you’re the one percent. Then you can afford to go someplace really dark. Bogard: And then there’s the fact that public housing is almost always over-lit in an effort to deter crime. There’s another darkness-deprived population I hadn’t considered either, before I wrote this book, which is prisoners. There’s this former convict, Ken Lamberton, who wrote about his time in prison and the way he was forced to be in the light — he wasn’t even allowed to cover his face with a blanket at night. It’s as if being constantly illuminated was actually part of his punishment. This is the most ridiculous thing I have heard of in a long time. I wonder if you would be where you are today if one of your family member were murdered. What in the heck do you think society should do with these criminals. I realize criminals were not born criminals. It is a result in most cases to parenting, I can’t believe these parents that have children that have been in juvenile detention and the parents blame society. OK I’m off track a little but criminals are criminals some you can’t reform and they need to be out of society to protect the innocents of people. why is a criminal where he is? he made bad choices. I know of a friend that would send her child to his room for punishment and he got to watch T.V how is this a punishment. Again some of our parents shouldn’t have been parents in the first place. Sorry I seem so harsh but it is what it is!!!!!!!!! Yes I’m for capital punishment.